This tutorial explains a technique I used a lot in grad school to get really fast renderings for studying building forms. Materials are not necessary in the 3-D model which is the case many times early on in the design process. KERKYTHEA INFO: This tutorial uses a program call Kerkythea which can be downloaded for free from http://www.kerkythea.net/joomla/ . I have used Kerkythea throughout Grad and undergrad architecture school and is still my rendering program of choice. A plug-in for Sketchup can also be downloaded from the website. This allows you to export SU model seamlessly into Kerkythea. I love this, but I must wonder, are you modeling in Rhino and then exporting to Sketchup? Or is all your modeling done in Sketchup? Looks fantastic either way. Nice call Farkus. I did model the more organic parts in Rhino and then imported them into Sketchup. I typically have my master models built in Sketchup through which I import geometry from other programs that can’t be modeled in SU. Its easier for me to visualize, navigate, make adjustments, and render the design if done this way. Your work is fantastic, a great inspiration. I was just wondering, why use sketchup at all, if you’re able to model it all in Rhino? On the subject of importing rhino into su, do u have any advice on cleaning up the geometry?…maybe u can share what ur presets r? Thanks for visiting my site. I typically export my rhino files as .3ds files. The interface will give you an option of fewer or more polygons. I will leave it somewhere in the middle. The file will import into SU all triangulated. I will then highlight the geometry and "soften and smooth" it leaving a perfect looking surface in sketchup in a matter of seconds. I am doing now the clay model and I am in the final stage… But I cant understand why at the end there is no shadow. I did everything exactly in the video ( also play with the program to figure it out) but I can’t solve this problem for 2 days now. Do you have any suggestions on where the problem might be? Before saving the model in Sketchup or the sun settings in Kerkythea? Cheers from Brazil and Belgrade! I have exported the model from su to kerkythea,but there was nothing can be seen.Can the materials of su ,such as glass and wood,appear in the kerkythea?if cannot,what should I do? Just wondering, if there's any chance you know how to do a Clay render for Vray for SketchUp ?? I can't seem to find any tutorials on the net that gives me a good enough result! So hoping you might know? Im not sure. I don't use Vray as much as Kerkythea. One way is to just remove materials from the sketchup model and replace them with a light gray material. great post. just wondering when you have the time, if you could do a tutorial on how to create large, smooth organic curves using sketchup? like the one shown in the video above. thanks! Great work mate. I too look to PSD Tutes as I have tutored and lectured on Architectural Presentation work. I always tell my students to push the research to outside the architecture field. This is a great simple method and blog that I have introduced to my students as well. (I get nothing but clay models now hahaha). Thanks mate. Keep it coming. Super cute! My little man would look so stylin' in those! kjjihs kjjihs – Discount North Face. 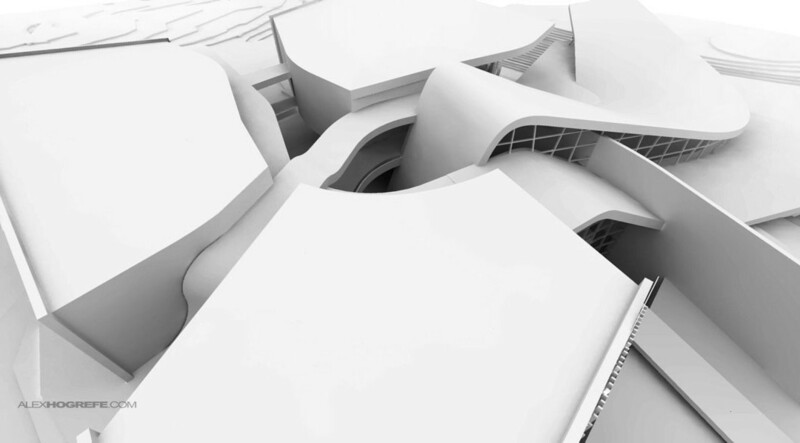 i am currently in my 3rd of the architecture degree in the UK, and attempting to design an organic shaped building… unfortunately im reluctent because i struggle in SU to acheve the accuracy with the shapes that i want!! I would say that Rhino is the second easiest modeler to learn after Sketchup. You shouldn't have a problem learning it in a few months. Its something that is really nice to have in your skill set. Good Luck with your final presentation. have you had this problem?? because your clay renders look awesome but without the shadows looking right in my renders a just cant use them! First of all congratulations about your great site! This is so much helpful for all of us exploring visualization! I am studying architecture and I am trying to learn Rhino too. I would like to ask you if there is any way to import/export a model from Rhino to sketch up without it being somewhat corrupted. I export it in .3ds format and it comes up with too many triangles and many gaps instead of planes. Is there something I can do about the gaps or its just that these two programms do not collaborate with each other? Im not sure why you would be getting gaps in the geometry. For the triangulation, you will always get that when exporting from Rhino to Sketchup. Rhino is Nurbs based, Sketchup is mesh based. However, selecting the imported geometry and choosing "Soft and Smooth" in Sketchup should get rid of all the triangulation. Maybe choose a higher mesh density when exporting from Rhino as a 3ds file to solve the gap problem. Me and few fellow architecture students have been following your blog for a while now. We are interested in many of the techniques you present however our specialty lies in Rhino not Sketchup. We can successfully import the Rhino files without issue however they come in as a un-editable group. We were wondering if there is a way to edit once the model has been imported. Sorry for not getting back to you sooner. Im not sure why it would be un-editable. Is it locked? You can usually tell if it is locked by the geometry turning red when you click on it. If so, then right-click on the geometry, and select "unlock" in the drop down menu. Thanks Alex. I will make the presentation on it and show to my students, all are students of mine are architect, This may benefited to them. just a simple question…the tutorial viedeo is turned down for germany…could you upload it again??? This tutorial has helped me so much! I have trees in my landscape from sketchup that are right next to my structure. Would you recommend that I leave the trees out of the clay rendering or include them? Hey, Alex see your still doing great work. I have been studying your tutorials to polish my drawings have a new piece of furniture that I made in Sergio's studio will send you pics. sorry to ask but my office has blocked youtube and i would really like to know the settings you use in kerkythia. would you be able to write the steps down? I had viewed it before they banned youtube and I can't remember. Thanks for all the great information and sharing – I've learned a lot…. just thought'd I'd see if anyone had asked you yet . Hey hello. this is awesome! but i have a bit of problem with kerkythea when im exporting the sketchup model to Kerkythea. When i export, nothing shows up on kerkthea, sometimes just a few lines. May i know why? RJ, it happens to me as well. The exported image appears zoomed in, a lot which explains why you only see a few lines within the guidelines. A great tip is to hover your mouse over the image in Kerkythea and using your mouse wheel, scroll down (which is essentially just zooming out). Keep repeating until you get to your desired level of zoom. The issue occurs when the sketchup model that your exporting is in parallel view. Kang is right that the image imports into Kerkythea extremely zoomed in. If you export the model in Perspective mode instead of parrallel projection, then the model should appear just as it does in Sketchup. Hi Alex – I've done clay renders following your tutorials on a friends computer and they come out great – but on mine, when I change the attenuation to inverse the entire model comes out black – is there some other setting I need to change? They come out fine (but with sharp shadows) when i have attenuation set to none. i've been having a problem where my clay renderings show light leaks at object seams, as if they are not fit completely. This is obviously something in sketcup, but i'm wondering if you or someone else has had such a problem and if there is an easy way to resolve it. I don't see this coming up aside from when I do the clay rendering. I think its the inverse light thing. i tried creating a solid object underneath the areas with leaks, tried union and other things, but it still shows up. One thing– i think this is happening in cases where the lines were originally imported from CAD, but I'm not certain of that. I want to avoid rebuilding these models. I've been following your blog for a while and just now got around to trying to download Kerkythea but I've found it's been replaced by the commercial program Thea Render. Do you still use Kerkythea or have you switched to Thea Render? If so, a short post about differences in the two programs would be very helpful. Otherwise, does anyone know where you can download Kerkythea and the SU plugin now that the site is down? Great stuff mate really helpful. You have no idea how much this has helped me. Phenomenal work! I just had a quick question before I begin to dig through mountains of FAQ's and User Guides. Every time I do a clay render, light leaks through several of the joints. I've tried looking at my SU model, to see why some areas leak and others don't but I can't find the solution. Any advice? Thanks again for all the help! Im not sure why it would be doing that. I have heard of other people having the same problems. Sometimes its because the render settings are too low. Maybe try a render preset other than Photonmap to see if they go away. It really depends on the message you are trying to convey. I have used Clay model renderings as a final presentation strategy for explaining formal moves, but I often also use clay model renderings as a base image and Photoshop texture onto them. Either one is fine and depends more on what you are trying to say. Your work is amazing! I just recently stumbled across your website and it has blown me away. I was wondering what kind of computing power is required to render these models from SU into Kerkythea? I am just about to head off to architecture school and looking to buy a new computer, and would love your input. I tried to render my model into kerkythea, every other scene that is in perspective comes out as expected except for the roof view. So far I have tried encasing my model into a large opaque & transparent box, yet it is too white/bright. Do you have any suggestions? 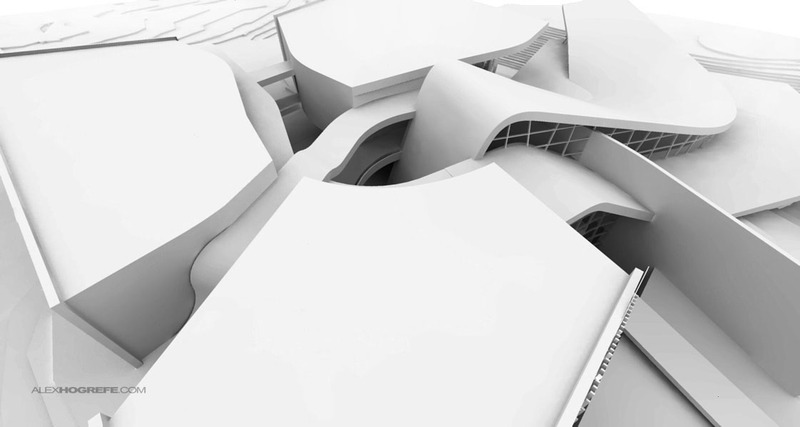 I was wondering how you smoothly place a rhino 3ds model into a SU site model/base. how much context do you model in Rhino, and how coordinated are you between programs? I guess to sum up a lot of questions, I’d love to see both Rhino and SU models before and after integration. I’ve been following your website and came to know about kerkythea . I installed kekythea plugin. and exported my sketchup file as the instruction given in the tutorial. But there’s a bit problem with adjusting the material and location… When I try to adjust the glass or any other material in the model the scenario isn’t quite what I saw in the tutorial. Actually material assignment is not working as expected. As a result the final output of clay render is not satisfactory as the glasses are being solid material property. It would be very helpful if you could give suggestions or solutions … thanks. When I follow the tutorial my render outputs are very tiny. Is there a way to get either high resolution or create a larger frame size? I have a small problem with rendering: the final image looks a bit destroyed, like the render makes the small “holes” in the 3d. Please, contact me by e-mail, so I could send you the picture.